Little by little, things are getting done. Baby steps, often, but steps nonetheless. 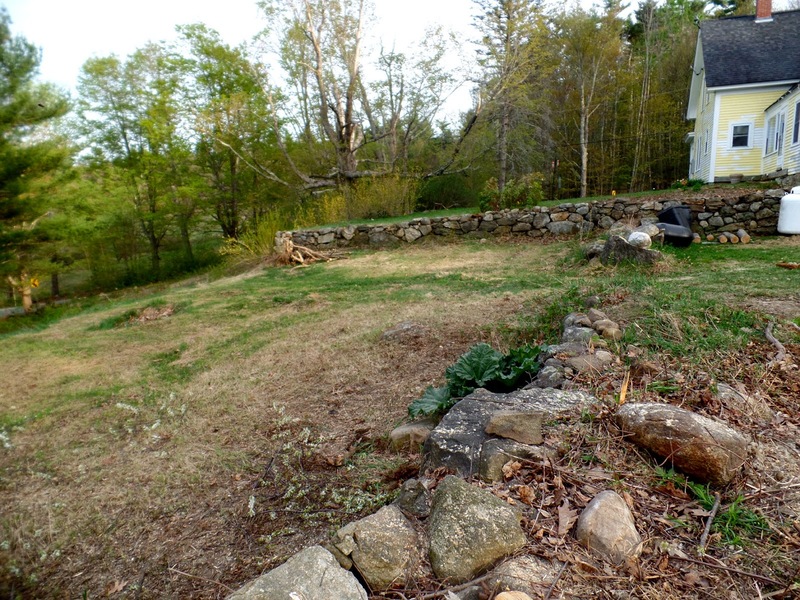 Today's work, thanks to some help from our great neighbor, accomplished in about an hour and a half with his tractor what would have taken me at least a week to do. 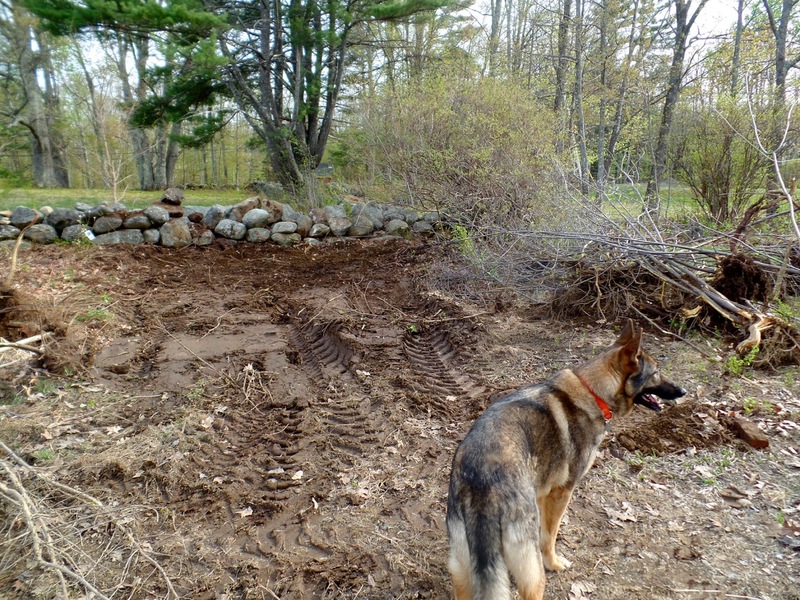 We cleared out the area next to the blueberry patch, for raspberries. 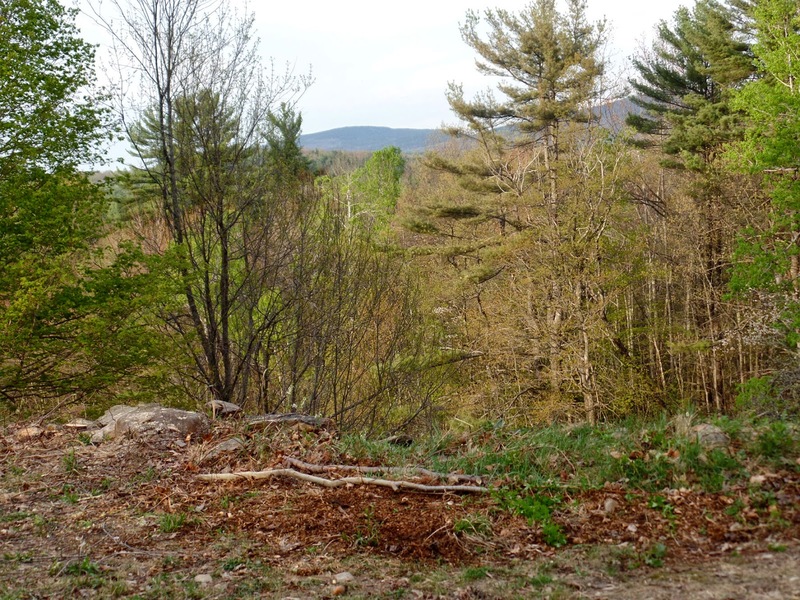 That pile of trees on the right is only part of what got pull or dug out. Big stones were placed back on the stone wall. 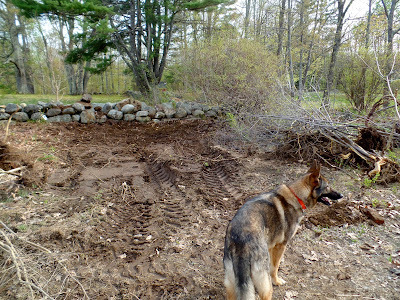 It's a big mucky in there now, but maybe I can finally get the raspberries in the ground by Monday. The potato field, looking towards the chicken coop. Look closely for my two assistants. 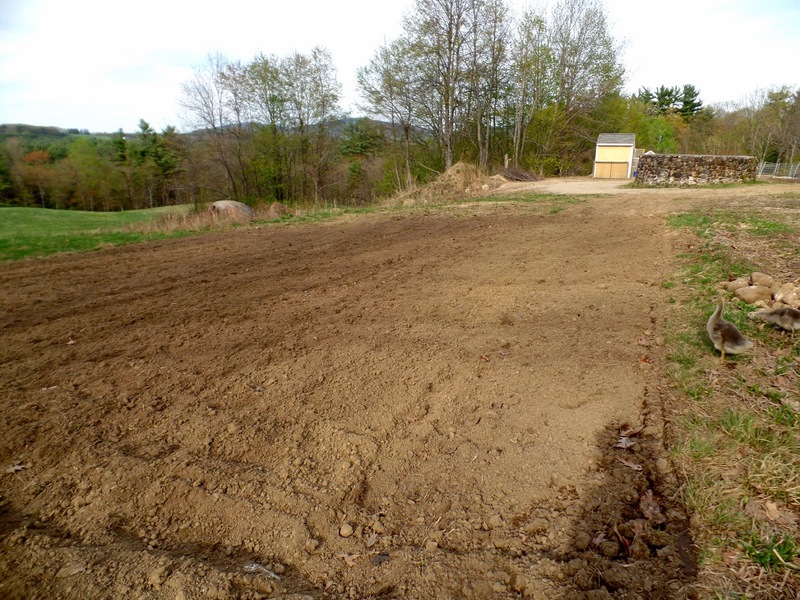 I figure about 3 rows of potatoes, some winter squash, sunflowers and field corn will grow here. I will also seed some pole beans on the corn stalks. 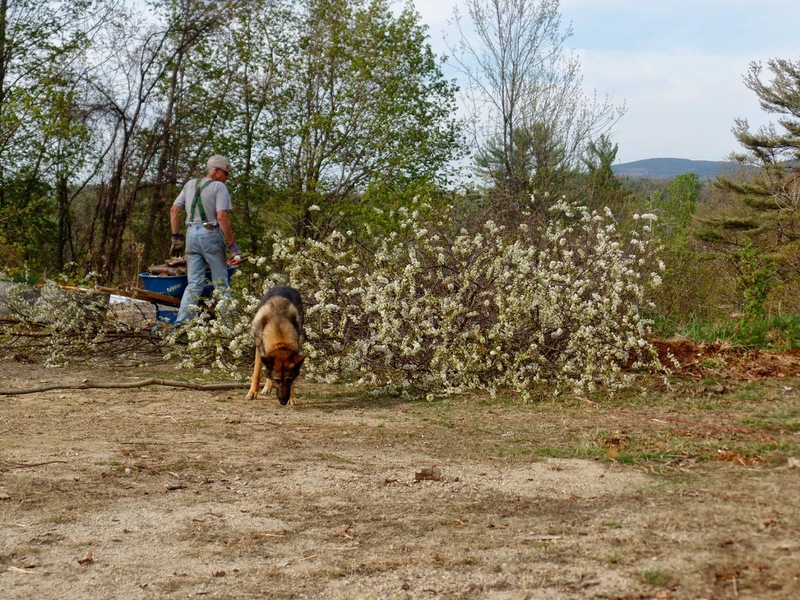 A big change was the cutting down of three cherry trees. (non fruiting) They are a wild type tree, with, yes, lovely blooms, but they were just in the wrong place. 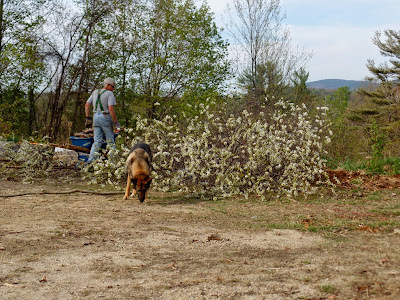 Steve carries the good firewood pieces to the garage, and the rest will go to the burn pile. The clearing work from yesterday and today. Trees were right in the foreground growing out of the stone wall. 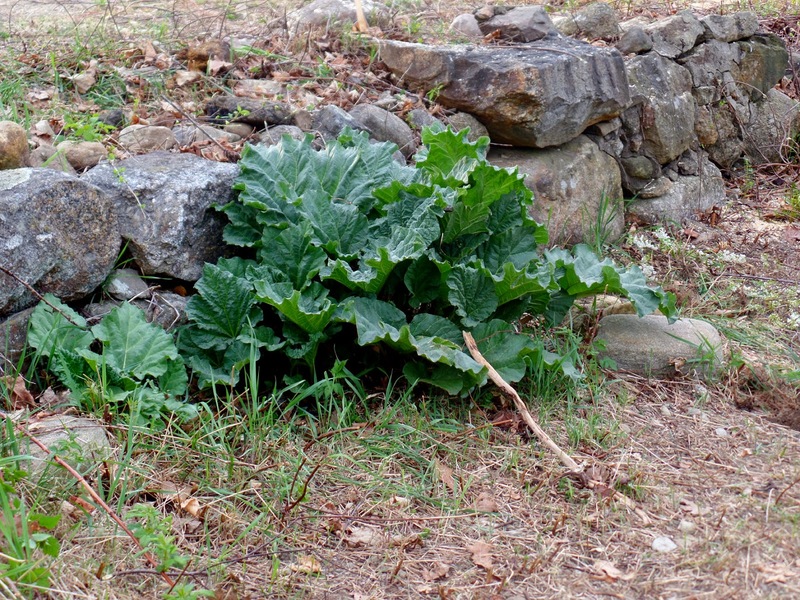 When I cleared the thorny bushes and vines yesterday, I discovered this nice healthy rhubarb plant I didn't even know was there. Rhurbarb pie anyone? Now that the trees are down, our view got a little bit better. 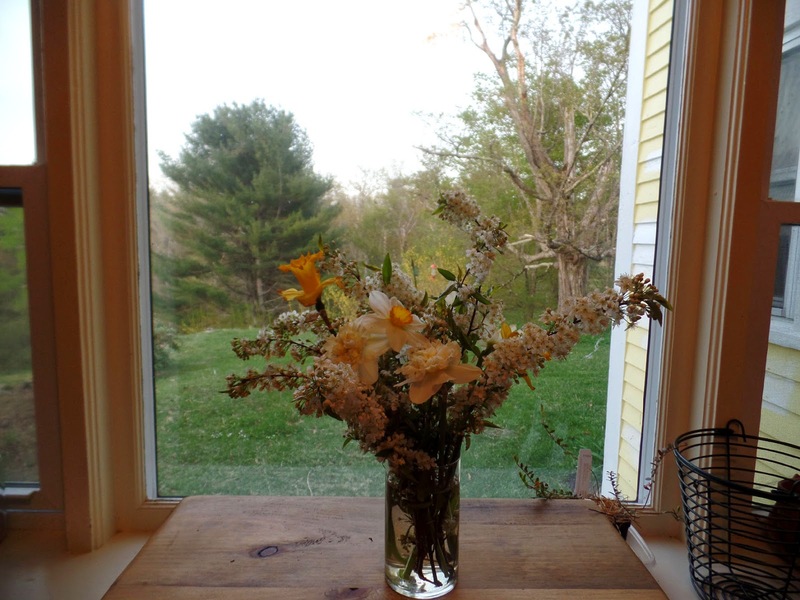 And the cherry tree blossoms, along with a few daffodils will grace the kitchen table to remind us of spring!